It’s Marta Turska – Grochocka. 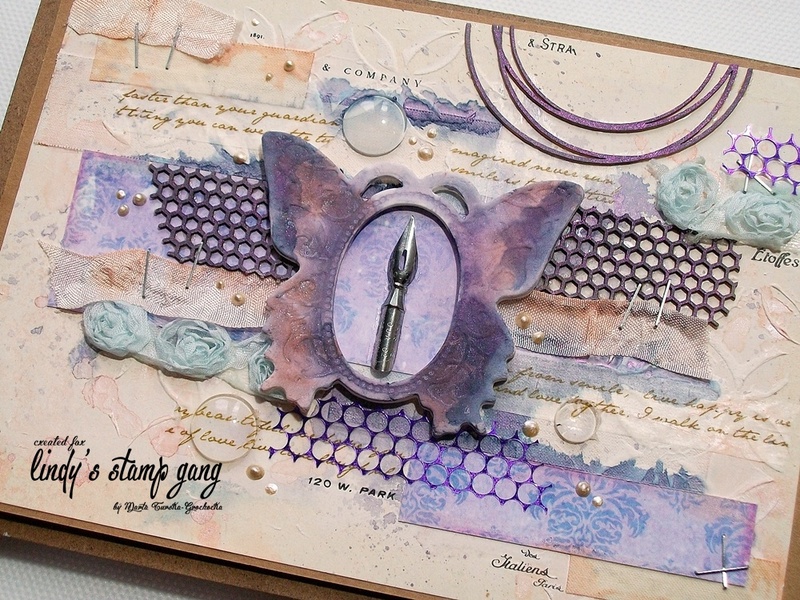 Today I would like to show you the details of the art journal pages I created using the January LSG Color Challenge. The products I used were Cape Cod Coral, and I also mixed shades of red and blue to create purples. I mixed Ramblin Rose Pink and Caribbean Blue in different proportions with water to get a lighter or stronger shade. I used some chipboards painted in violet, vintage ribbon, roses trim, and some cotton tape, which I covered with gesso. I used a mask to create an interesting pattern, and in the end I’ve added some color splashes, and spots. I added some glass cabochons, and some punchinella. My pages have a lot of dimension and many details. Thank you for stopping by, and I hope you’re inspired to join the challenge this month. We love seeing what you create! what a lovely journal ! 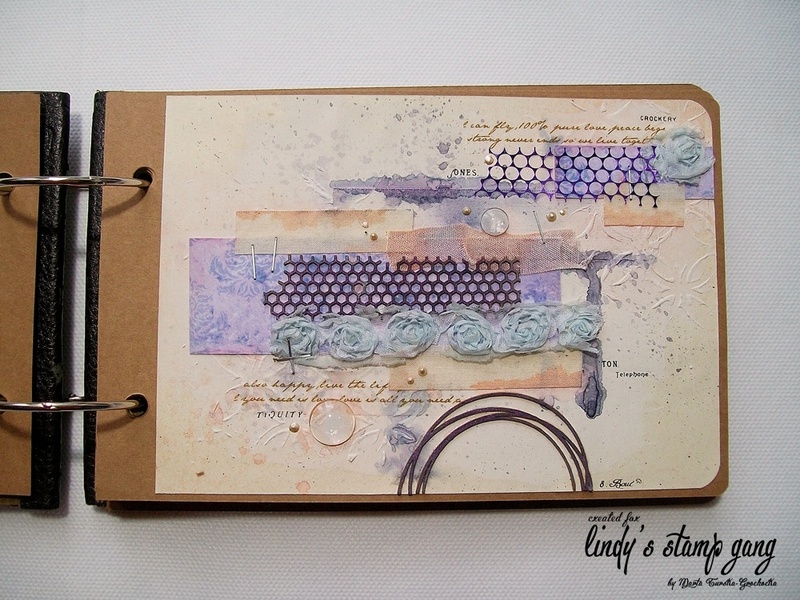 Your journal pages are just awesome – thanks for sharing! Marta I am a huge fan of your work, looove your pages, inspirational and unique !